Don’t you just love unicorns? They are such mythical creatures, full of magic! 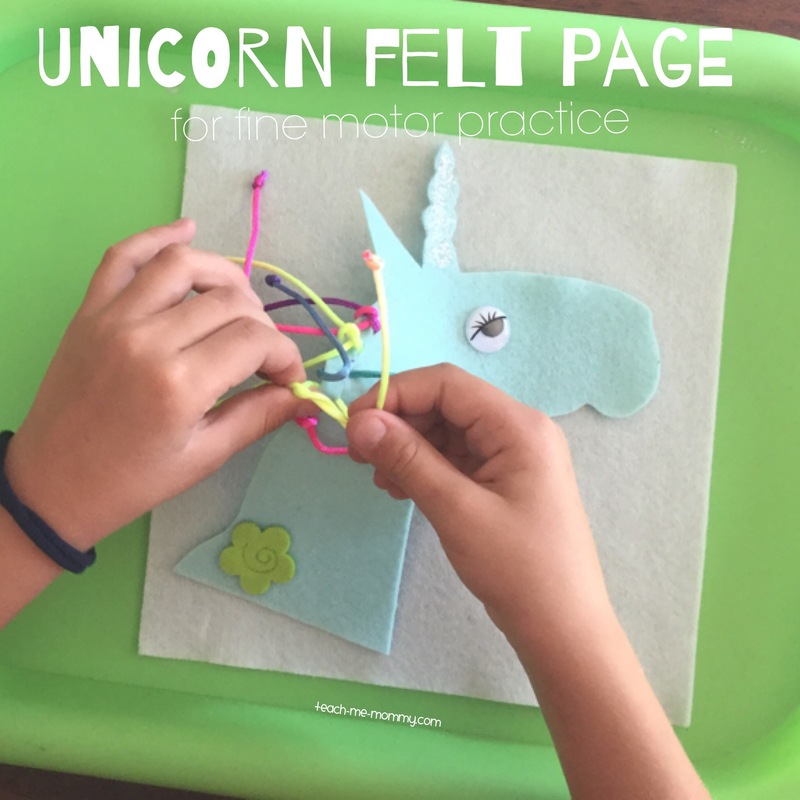 Today my blogging buddies and I are sharing all kinds of unicorn learning activities and I made this unicorn felt page, perfect for fine motor practice! 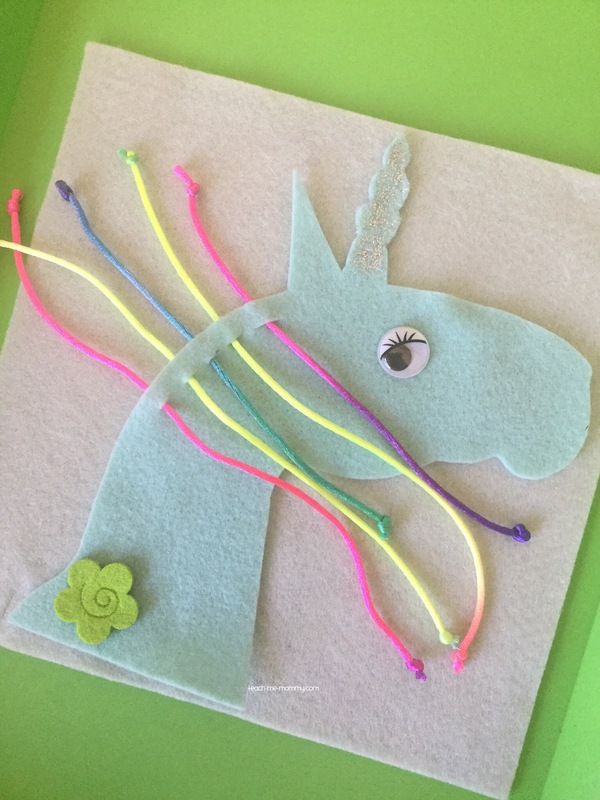 Use THIS FREE unicorn template and cut a unicorn shape from felt. Add the eye and decorative pieces with a glue gun. Add glitter to the horn if you wish. Cut slits for the “hair” and add the string, tying the knots big enough so the string will not slip through. Glue the unicorn to the felt page, but ensure the strings are loose. A fun felt page for your quiet book, and no sew too! 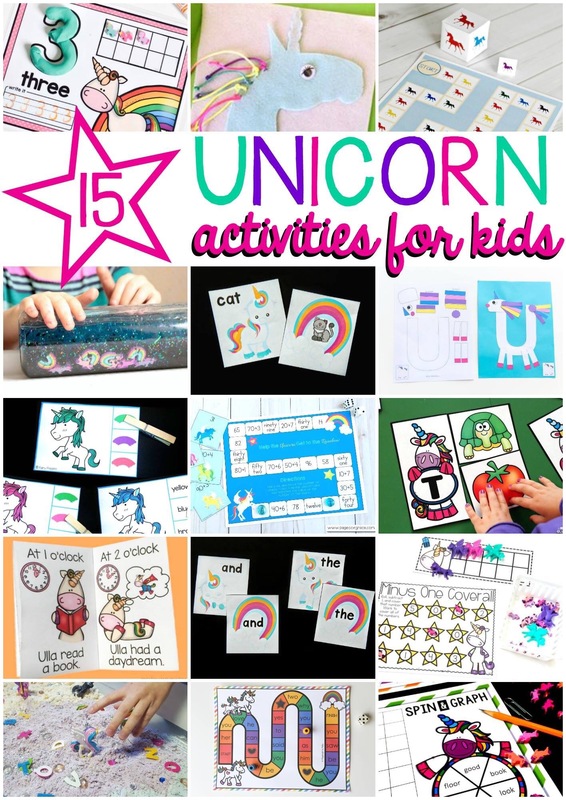 Would your child like this unicorn felt page?